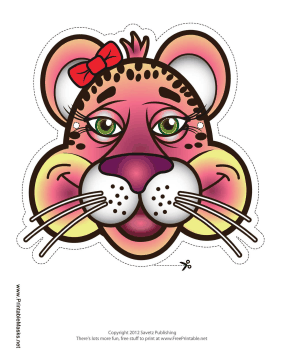 For the more delicate cat lover, this pink cheetah mask has green eyes and a red bow. Her whiskers, eyelashes, and pink fur will let people know that this cat is a real lady! This mask is free to download and print.